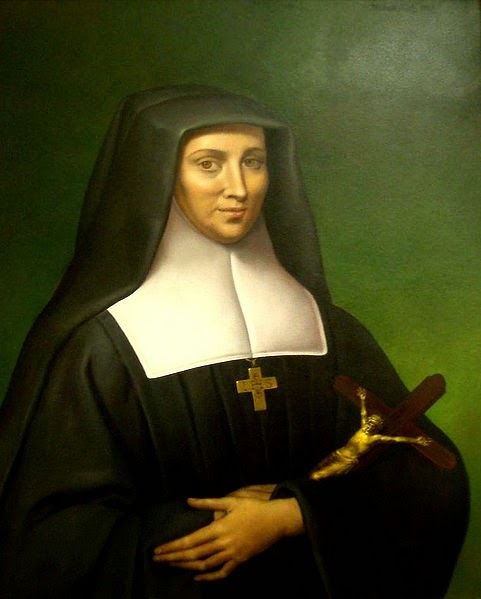 If you don’t know about St. Jane de Chantal by herself or in conjunction with St. Francis de Sales….here’s an excellent introduction. “My dear daughters, let us not have illusions; it is necessary that for our affection, to be blessed by God, it has to be equal and uniform for all, for our Savior has not ordered us to love some more than others, but He has said: Love your neighbor as yourself. “Sometimes we think our affections are very pure; but before God it is very different; the affection that is all pure looks only at God, only aspires to God and does not pretend anything but God. I love my sisters because I see God in them and because God wants it this way . . . your charity is false if it is not equal, general and complete with all the sisters, this way your are to be gentle with one sister as well as with the other. Her letters have been collected in various formats. Public domain versions – aka free – can be found at archive.org – like here. You have done well to discontinue your retreat. matter ? We know that He is with us. One of the things I appreciate most about Jane de Chantal is her insistence on spiritual simplicity. She is forever reminding her sisters not to fall into the trap of spiritual self-absorption and solipsism, forever wondering what things mean. Jesus accomplish in you His holy will ! you over and over again. beyond keeping yourself tranquilly near Our Lord. else because this, His will, has no interest for you ? Here’s an interesting archived article from a 1911 edition of The Tablet describing the ceremony of the translation of thee two saints’ relics to a new convent. During the festival, cannon had been fired and bells rung frequently all through the town, to testify to the universal joy, and at night it was brilliantly illuminated. But it was scarcely to be hoped that so religious a demonstration could be allowed to pass unnoticed by the Anticlerical party. The Superior of the Visitation and some of the town authorities had received anonymous letters threatening bombs during the procession, if it took place. After prayer and deliberation it was decided that no changes should be made in the programme, all trust being placed in the intercession of the two Saints with God. This confidence was not misplaced ; all went off without the least attempt at molestation. 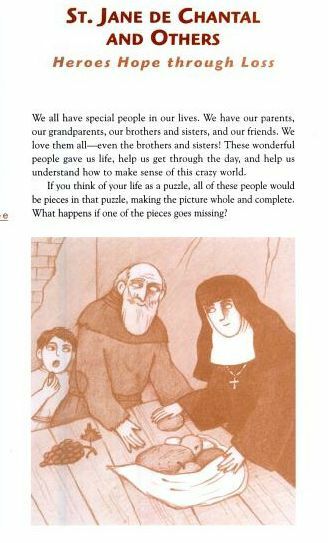 I wrote about St. Jane de Chantal in The Loyola Kids’ Book of Heroes. The entry isn’t online, but here’s the first page….